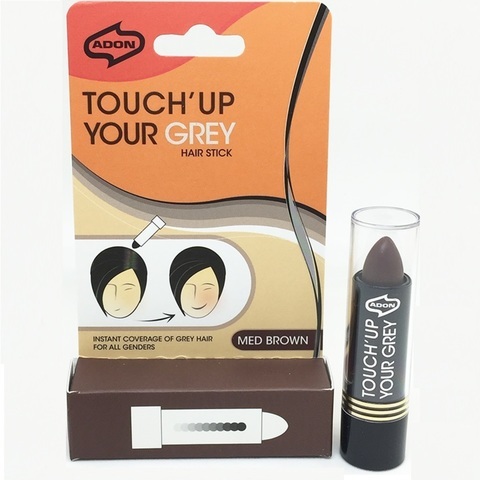 Adon Touch'Up Your Grey Stick - for that in-between salon visits image maintenance regime. The handy tool to instantly cover your grey and white hair anywhere and whenever you need. 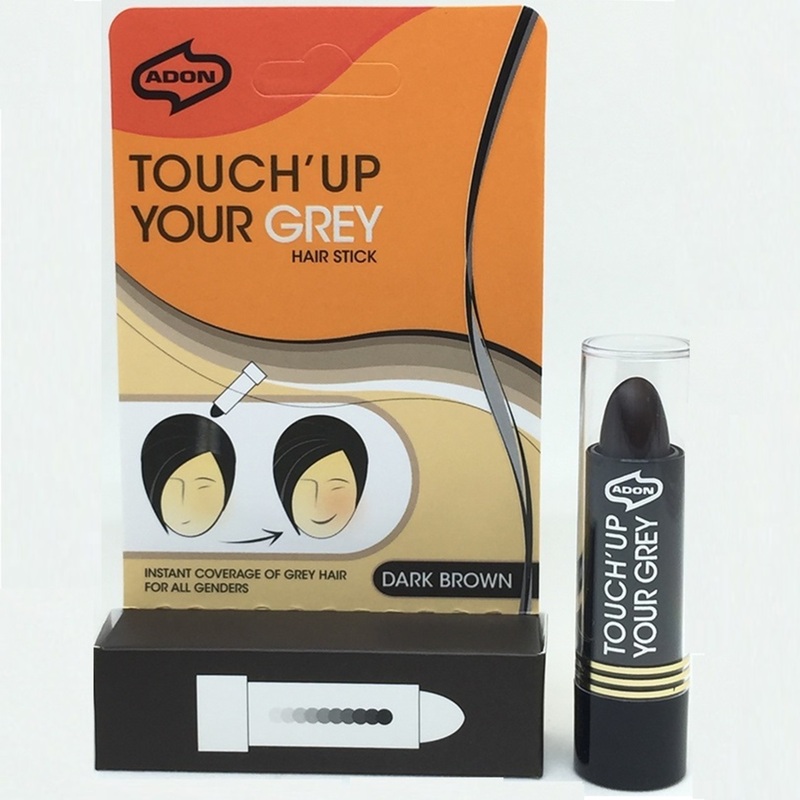 The emergency "Touch'Up" tool before your night of partying. Small enough to keep in your handbag or sling bag / pouch. Washes out with shampoo.